Get your pirate on with this cool black and white Pirates Of The Carribean inspired design! Featuring hand drawn pirate icons like skulls with eye patches and pirate hats on a black background, this all-over print is perfect for Halloween, theme park days, or just adding some pirate touches to your life! Be the highlight of any party in this beautiful vintage-inspired halter swing dress! Featuring a halter neck tie as well as a bow waist tie, this dress is sleeveless with a sweetheart neckline, and featured a pleated flared skirt that hits just above the knee on average. All our dresses are made to order, and your chosen design is printed into the fabric using advanced heat sublimation machine. This is not a cheap screen print that fades or washes off! The dresses are fully machine washable - best at 30 degrees and avoid the dryer to ensure the print stays beautiful for a long time. Knee length skirt - not too short or too long! Size Chart: this dress is available in sizes XS - 3XL, catering for a wide range of body types and ages. Even though technically these are women's sizes, XS and S are small enough to be a great fit for younger teenagers! Please click here for a fully detailed size chart. 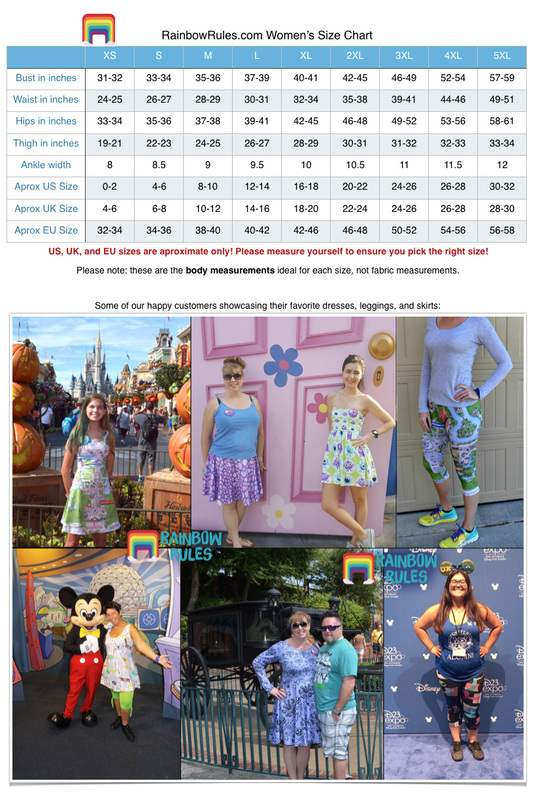 Different countries and manufacturers often have different definitions of what S, M, L, etc, are, so please take a few minutes to measure yourself in inches and compare it to my detailed size chart to find the right size for you!